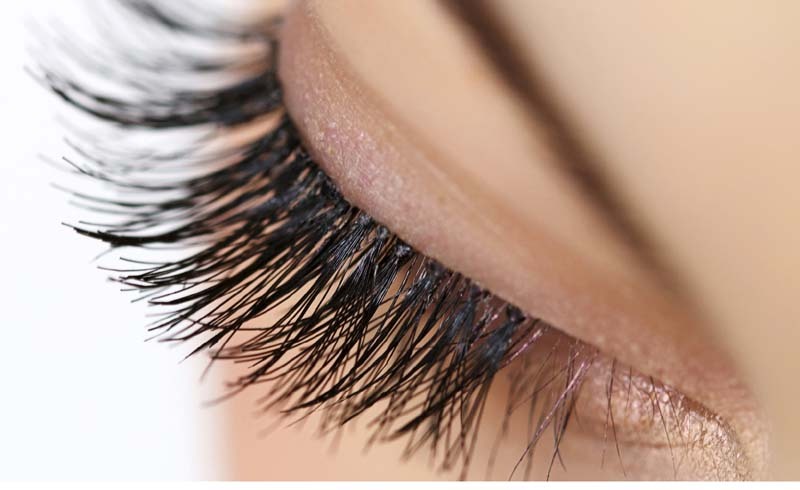 Latisse is an FDA approved, prescription-strength method for growing back eyelashes. You'll need a prescription from your doctor for this one, and it will probably be three or four weeks before you see results. This is a pretty fail-safe method, but most women use this as a last resort thanks to side effects like eyelid darkening and itchy eyes, as well as the necessity of a prescription from the doctor. We all know coconut oil is the holy grail of beauty products (even though it's technically just an oil), but we're pretty excited to see it has some hair-growing potential, too. Here, it's used more as a host oil: A study has shown lavender essential oil can improve hair growth, so it's the real star of the show here. Take a half teaspoon or so of coconut oil and add three or four drops of lavender oil (if the smell irritates you, drop down to two drops). Apply to your eyelashes one or twice a day with a cotton swab or spoolie and wait for results. Rapidlash® has a legion of lower followers that swear by it, which isn't surprising considering the solid testimonials and amazing before and after photos on their site. Their product works a lot like Latisse but doesn't require a prescription. The product is meant to be applied twice a day to clean lashes. Within four weeks, eyelashes should show some improvement, though the site says 60 days of use will yield the best results. This sounds incredibly obvious, but most of us don't realize how hard we are on our eyelashes. We coat them in mascara, curl them, and scrub them viciously at the end of the day in order to do it all over again the following morning. This can do some serious lash damage if you're not careful, so correcting some of these habits could be all you need to do for longer and more healthy lashes. Be gentle when you clean your lashes and give them some downtime between intense mascara and curling sessions, if you can. Some pros also recommend brushing your lashes out with a clean spoolie daily to stimulate growth and to keep lashes from tangling and damaging themselves. Castor oil is popular when it comes to natural home remedies, most notably when it comes to hair growth and skin care. For eyelash growth, you should apply a small amount of the oil to your clean lashes starting as close to the baseline as you can get. It's best to do this at night, so you can gently cleanse your lashes the next day and go through your makeup routine oil-free. This method is meant to thicken, lengthen, and strengthen your lashes, and like the other methods, may take several weeks to show results. Now, you can stop asking yourself how to get longer eyelashes and start doing it with whatever method that works best for you. Growing longer lashes naturally takes time and patience, but these methods should make the journey as painless as possible.